In this comparison review of the Classeq Hydro 750 vs Classeq Duo 750. We shall discuss the differences of these two commercial dishwashers in detail, and hopefully helping make a decision which machine is right for it’s establishment. In the sections below i’ll guide you through 3 sections, helping determine which integral components or type of commercial dishwasher you require. 1: The differences between the two Classeq dishwashers. 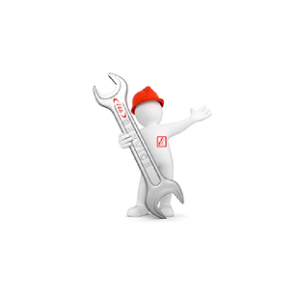 2: How to determine which integral components are essentially required. These Classeq dishwashers are equipped with a 500mm rack/basket size. They both share the same power configurations of either, 230V/AC 2.98KW, 6.84KW single Phase or 415V/AC 6.84KW 3 Phase. The 2.98KW version is accomplished by removing links from the wiring lomb therefore bypasses two of the three elements in the rinse boiler making them redundant. The power configuration is selected when ordering from Classeq but can always be changed by one of our engineers on request. The difference between the Classeq Hydro 750 and Classeq Duo 750 commercial dishwashers. Firstly these two Classeq front loading dishwashers are built from the same 500mm basket size design. The difference being the Duo cabinet is double skinned and the Hydro’s is single skinned. A double skinned cabinet helps to reduce noise and heat lose. The Classeq Duo 750 comes all singing all dancing. Including a drain pump, rinse booster pump, chemical pumps and a WRAS approved Type A air gap. Also giving an option of ordering with an integral water softener for an extra cost. The Classeq Hyrdo 750 is simply a basic version of the Duo, using the same major essential components. Such as the wash pump, heating elements and chemical pumps. Classeq provide an option ordering the Classeq hydro 750, with a Drain pump if required. Classeq also give the option to fit the Hydro with a rinse booster pump which includes a WRAS approved Type A air gap. That having said the rinse booster pump comes at a price. And at this point in my opinion you’re better off ordering the Duo 750, as you will get more bang for your buck. The Classeq Hydro 750 dozen’t have the option for an integral water softener. So if you’re in an area where one is required, then its essential to account for room for an external water softener. This section will help determine the essential components required, for a correctly operating dishwasher. Do you need a drain pump? A drain pump is required if the Drain services, is higher than the required hight. For a gravity drain to work properly on these Classeq dishwashers. The connection for the waste must not exceed the maximum hight of, 40mm higher than the base which the dishwasher stands on. As shown in the drawing below. A Drain Pump is essential if the waste connection exceeds the maximum hight, for a gravity drain to work correctly. Do you need a Rinse Pump? Classeq dishwasher’s, without a integral rinse booster pump, require a minimum of 2 bar mains water pressure. Insufficient water pressure, will not provide enough force to propel the Rinse arms to spin inside the dishwasher. Resulting in a ineffective rinse. In addition dishwashers with a integral Rinse booster pump, require a minimum of 0.5 bar of mains water pressure. Using a pressure gauge to test the mains water supply is always advised when wanting your dishwasher to produce the very best results. The pressure gauge is connected to the Washing Machine Valve (water supply), at the point where the dishwasher will be connected to. To imitate the effecters of busy service periods, i would recommend opening as many taps in the restaurant, bar, kitchen etc and letting them run whilst a reading is being taken. This is because a reduction in pressure will accure when multiple taps are in use, and if the pressure drops below 2 bar then it is not enough pressure. A Rinse Pump is essential with mains water pressure lower than 2 bar. Water contains dissolved mineral compounds and much of the tap water in our region is hard in character. The level of water hardness is dependent on the type of rocks or rivers from which it is collected. When a dishwasher boils hard water it can form fur or scale, inside the machine and on the dishes etc. Also prevent chemicals from doing there job properly. The scale itself is calcium carbonate (chalk) which has come from the water. It can be removed by an iron exchange with sodium, potassium through a water softener. The UK map below indicates the concentrate of minerals in water supplies. If you’re in areas highlighted in blue a softener is essential. The best way to apprehend if you need a water softener is to either, consult your water board or undertake a water hardness test. These strips are dipped into your mains waster supply for 3 seconds, then matched against a colour chart. This will indicate the hardness of your water supply. If you’re located in a hard water area it is good practice to test the water exiting your softener regally. This will insure that your softener is regenerating properly. Indicating weather its running effectively and not left for long periods, in-between regeneration cycles acting redundant. e.g If the regeneration cycle is set for a Monday, test Friday and so on, every so often. The reason being you may be consuming more water volume through the softener than you’re aware. And you may have to regenerate the softener more regally to compensate. The Classeq Duo 750WS with integral softener automatically regenerates, and has a light indicating when it is due for salt refilling. So the Classeq Hydro 750 vs Duo 750 so which one will it be? Most of all this solely depends on what you need for the dishwasher to perform correctly. Water pressure of a minimum of 2 bar. Waste pipe is the correct hight for gravity drainage. If a water softener is required, and room for an external softener is accounted for. If the above is correct but a drain pump is required i would recommend the model Hydro 750DP. In addition and the above is insufficient you will require all the other functions or would just like the better machine. I would recommend the Duo 750. Providing room for an external softener if needed is accounted for. Finally if you require an integral softener which will save space i would recommend the Duo 750WS. Elite technical services are proud to announce that we are a distributer for Maidaid Halcyon and Amika. We supply a full range that can cater for any configuration weather it be an 350 rack size under counter glass washer to a 8.5 metre long rack conveyor setup for the highest volume setups. Elite has fully trained engineers that can install, service or repair your Maidaid Halcyon products please contact us if you require our services. Barista/Bezzera Bistro range Coffee Machines. 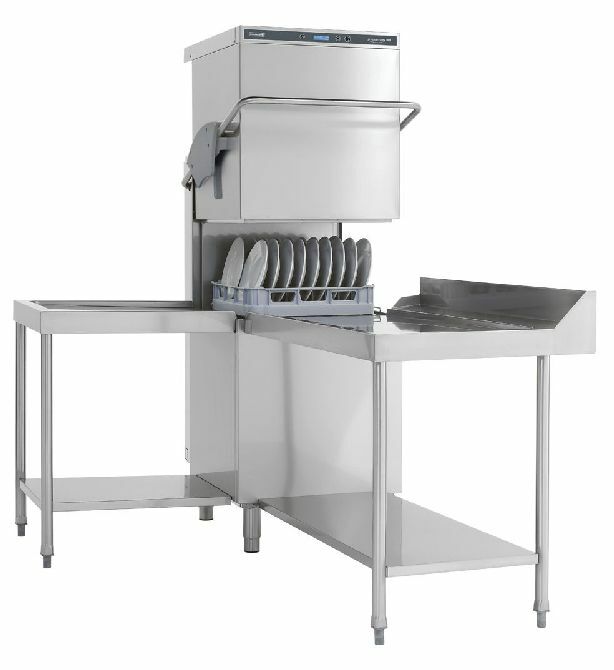 We also can supply ancillary tabling and accessories to fit your pass through dishwasher. A range of stainless steel tabling and accessories to compliment all pass through and conveyor ware washers. Fabricated from 304 type food grade stainless steel, all tabling can be manufactured to individual requirements to accommodate special needs such as pipe work etc. The wealth of experience gained over 40 + years has established the Maidaid Halcyon® range as leaders within the industry. Our machines have a longstanding reputation for durability, reliability and serviceability. The Maidaid Halcyon® products are constructed from the highest quality materials to ensure many years of commercial service. We produce a tough machine to do a tough job. Whether you want simple reliability or the very latest innovations in micro processing, there is a machine for every application. What’s more, we actually listen to our customers. This helps us provide what is undoubtedly, the best service in the business. It has never been easier to select and view Maidaid Halcyon® equipment, either by using this all encompassing website or our latest comprehensive product guide.